"Integration and security for your passwords"
The possibility of using it as a complement to the browser you use usually gives you greater ease of use, since by being integrated with the browser, you can store all the accounts that you use on a regular basis. Lastpass also allows you to retrieve text messages, delete any existing duplication and perform extensively administrations in your accounts, perform any type of check to see if the operation is correct or there is some kind of error in any account. The application for the mobile phone also has a great design and allows to integrate accounts within the software with ease. The only mistake I have seen during the use of this program is that when you want to change from one account to another from the same web it asks you to modify the current data, when maybe you just want to use that new account without having to put it into the system. If you have several clients, they can pass information on your accounts, without having to pass your password. That gives them much more security, since they do not have to disclose private data and they know that their accounts are safe and will not have any problem. On the other hand, within our company we have stored many accounts of different platforms and web pages within lastpass. We can access them easily within this system and add or modify accounts whenever we want. LastPass is a great password manager of low cost and with a free version that offers great capabilities. It can be used as an app or a browser add-on. It allows to save the keys of the websites that I visit the most and I can also generate them. The 256-bit encryption assures me the encryption of my connection to the master key. With LastPass you can have hundreds of advanced administration functions, such as key auditing, recovery with text messages and elimination of duplicate keys. You can also take encrypted notes within the interface. The complete Chrome is very good, an intuitive and elegant interface, very easy to use and easy to install. LastPass will automatically upload your password to the web page in the field assigned to it and you can configure the parameters to generate robust keys. It is very useful the option to autollenar forms on the internet, this option makes life much easier when I support certain users and I can manage their keys with this add-on. I have nothing against this application, it is very good and until now has nothing to envy to other key managers. Install this add-on already, in any scenario it is useful and worth every cent invested in it. With LastPass I can increase my efficiency when providing support because I can manage the passwords from a single site. With this application I take secure notes that I can visualize at any time. It is a great addiction to the company. "LastPass is a must have, especially when dealing with sensitive work accounts"
I like that LastPass is able to provide top notch security with minimal effort on my end. In the past I had to keep a password book to keep all of my passwords, or I would have to use the same password over and over which was not secure at all. They provide a convenient solution to deliver security with peace of mind. Much like what I mentioned above, it is allowing me to keep my business accounts locked and secure with excellent passwords. No need to call my boss to help me reset my account because it's all saved for me now. "Long gone are the days of getting locked out of your account"
I love that there's an extension for my browser and an app for my phone. I don't have to keep trying password after password for each new website, all I have to do is log in via LastPass. If a new site needs a specific password, I don't have to wrack my brain for some weird combo. I can simply tell LastPass what the specs are voila, new sophisticated password! I have about 20+ Google accounts saved, between my personal and professional use, as well as clients accounts. Anytime I save a new account LastPass will ask if I want to update the password on my main account instead of recognizing that the accounts are not the same. I can have clients share personal information with me without revealing what their passwords are. It's great to be able to offer that peace of mind to clients who are weary about sharing personal info. "LastPass helps me and my business remember our passwords!" I like how LastPass is a browser extension that can be used offline! There are many password managers that require an internet connection, which is not helpful when using intranet facilities. There are so many options, such as filling out secure notes, forms, and generating secure passwords. LastPass also puts our business's passwords to the test by trying to guess our passwords and telling us if they were successful! We dislike how LastPass is set by default to not warn us before filling insecure forms. This does not keep us fully safe from hijacking. We also dislike how LastPass doesn't log off automatically by default. This means that I have to remember to log off before I stop using LastPass to log into my business's intranet accounts, used for accessing private content such as our company's top-secret commercials and website updates. When using LastPass, go to the preferences, and tell LastPass to warn you when filling an insecure form. Also, log off each time you are finished using LastPass. LastPass helps me remember the passwords to our business's Amazon S3 services, WordPress login, and Intranet login. We have never before had a completely offline password manager, and LastPass lets us even save a disabled One Time Password locally for Account Recovery. There are also such helpful hotkeys to help us fill in the next and previous logins in the event of multiple instances, with the hotkeys Meta+Page! I like the security that Lastpass affords in generating and safekeeping passwords required for the multitude of passwords required today. Once you get the hang of it, is easy to use. Is cross-platform as well. For me, it saves a lot of time in dealing with passwords, and now I can comfortably have a unique password for each site, whereas before I would have the same password so I would not forget. It is not always intuitive to use; the interface can be a bit clunky, and it often comes up at inappropriate times when asking if I want to change the password as sites that require an additional security question. The best password manager I have used. Not without faults, but can't imagine maintaining all my passwords without it. Password management, time management, internet security. "An absolute game-changer for the enterprise"
The ability to manage shared folders and pushing passwords into our user's vaults. The AD integration is fantastic and makes management a breeze providing you have a well structured AD. The enterprise options with the CSV uploading of bulk accounts into the system is also great as it means we can set up a lot of new starters accounts for various systems at the same time and push their login information into their vaults so they are all ready for onboarding. At times I have found that the system can be unreliable after an update has been released. It seems to not decrypt the vault properly. Also mobile experience is not great at times. Make sure to set up your shared vaults and your structures properly before you go live as it will make things so much easier to manage. Use the AD connector tool to sync your users and groups in so that you can simply approve them as they are created in your environment. Be sure to set up policies for security so that your users can only use it how you would like them to use it. Only allow access to to view and administer vaults to users that need it so that passwords don't need to be changed when staff members leave the company. This is a no nonsense program that does exactly what it says it will. It is accessible anywhere, anytime, but not by everyone. I have no concerns about the safety of delicate/secure data we have saved and love the decrease in headaches and time lost trying to remember passwords for various sites or agencies. Sorting is more difficult than I'd like. Many of our sites don't automatically go to the folders they should and when you've got nearly 100 passwords it's annoying having to scroll past dozens of non-applicable sites to get to the one you need. Drag and drop functionality would be loved! DO IT! You won't be disappointed and will be amazed at the time you save and the ease of dealing with paswords. "Saves me a lot of time and frustration every single day"
I work online all day and use a ton of apps and services during the day. If I had to remember my password for each one of those, I would have gone mad a long time ago. LastPass stores all of my login credentials and helps me sign in to my online apps with just a couple of clicks, every time. I don't have to worry about remembering my passwords, keeping a text file with them (huge security issue!) or even typing my login credentials every time I want to log in somewhere. I can also share credentials with other people (without them seeing my password). This helps immensely when you work with clients and need to log in to their services. They can simply install the LastPass extension and share their logins with you. Lately I had to log out and in again from my LastPass account to receive and store credentials that are shared with me. This doesn't happen often, but when it does it's a bit annoying. Download the Chrome extension and store the credentials to your the services you use regularly. You'll get a feeling of how much time you can save in just a few days using the tool. Securely storing all of my online credentials. I can share credentials with others in a simple and secure way. Saves hours of time every month from logging in and out from online services. It’s like the perfect application to use my dudes use it while it’s still around! "Great For Securely Sharing Passwords Across Different Teams/Departments"
Able to customize share settings, making some private, others for specific team members, and others for anyone within the organization. No as intuitive to use as some other integrations. It is easy to use it as a filing system for securely storing and sharing passwords but the more automated functions require a little more thought/set up. It is great because you can securely store and share passwords, you just need to know your master login information. It also has helpful features to search for accounts, organize them by type of account, and have both your personal and professional account information all in one spot without sharing access with everyone in your organization (only the ones you want to share). Instead of having a spreadsheet of passwords, this allows us to store them more securely and customize who gets access to which account information within the organization. "Secure your Identity with lastpass"
It allows user to to add password for particular user name and members who have access for that can view the password or directly copy it. You can create your own vault for all your secret data and you can share the vault with someone too. Secure form creation, saving site data is also part of the lastpass. Using lastpass you can also generate random passwords if you want with as per your accordance. If your vault has a lot of files and secrets then it will take enormous amount of time to search through it which is tedious. You might have to wait more if it contains same parameters in few files. overall search algorithm is not that good. Apart from that there are few bug and old fashioned UI. Everything else is good and up to the mark. I think this is the best choice as of now, out there in the industry. There are few others but they only work from back end, lastpass provides UI which is great. You can definitely give it a try if you have not already. It alsoo provides MFA for extended security. As of now we are saving all our secrets in lastpass vault which is shared amongst all the employees. Form fill is also being used every now and then. Also the secret key generator is very helpful if you wanna generate random secure password. "Perfect for Business and Personal Use"
I really like the ability to be able to securely store all (personal and business) passwords in one location. I also like the Security Challenge. It lets you know when two sites have the same password, a password hasn't been changed in an extended period of time, or if the site has recently been breached. I have slowly been going through my passwords and switching them. I really like the password generator as well. You can generate a random password (super long) and you only need to be logged into LastPass and it'll insert the login information for you so you don't have to remember the passwords. This increases your data security. The only dislike is the iPhone app has the capability to use TouchID, but mine is hit or miss. A lot of times it will make me type in the password every time. It isn't a big deal, but I created a long password so It takes me a minute to type it in. Other than that, I don't have too many issues with it. It works like it should and I feel better about my data security. For what LastPass can do, the cost is really minimal. It seems like more organizations are starting to offer it to their employees. It not only protects you as an individual, but the company as well. Whether you are considering it for yourself or your company, I would highly recommend looking into it. There is a free version so I would start there. It is easy to get hooked! LastPass is helping to keep all of my data safe. It allows me have one less concern. It also makes it easier to keep track of both work and home passwords so I don't have to make them similar or write them down. Two things...I love that I only have to remember one password. I have hundreds of passwords as I do client work, and LastPass has made my business life so much easier! The second feature I love about LastPass is that it just works - all the time! I find that sometimes LastPass doesn't work as well in Firefox. I can't stress enough the importance of having strong passwords for everything you do. Allow yourself the peace of mind to have these strong passwords yet only have to remember one by using LastPass. I am able to sign into client sites faster with LastPass, making the work I do for them faster and easier. I am also providing security to my clients by using LastPass and not storing passwords in emails, notebooks or phones. The benefit I've realized is that I can travel and never worry about forgetting a client password and this saves me so much time and worry. "No need for handwritten password cheatsheets anymore"
I used to have a very exhaustive list of usernames and passwords hidden beneath my keyboard -- obviously not the most effective (or secure) way to save this info. The worst was when I forgot to update the sheet to the most recent password; you'd get denied three times; your account would lock and then you're on hold with customer service for ten minutes trying to get in. With LastPass, you never need to write down another password again. You can rest assured knowing all your login info you handily and safely stored and accessible whenever (yes, even on your phone/tablet!) you need it. Brilliant. Sometimes (and it's rare), my vault will list the password for my LastPass login as the password for each site in my vault. It's a bizarre and rare occurrence but can be remedied if I back out of the window and try again. My team and I take advantage of the sharing feature quite a bit. I also love that you can login to all your saved sites with one single click. The autofill feature does the rest. The secure notes feature is also super handy for storing things like important phone numbers. "Sharing and Collaboration needs Enhancement "
- When one user shares something with another, the recipient can organize the shared item in their own folders. While my brother and I have similar organization methods, for team/family members with different methods to their madness, this seems to be very helpful. - When one user shares something with another, the recipient can accept or reject the shared item. With other solutions, acceptance is inherited if the user has access to the folder/vault. - Very secure solution with local-only encryption and strong encryption algorithms. - Sharing with Family is $4/month with LastPass including 6 users while 1Password is $5/month including up to 5 users. So if you want to save a $1/month, LastPass may be good option. - Sharing is not fully integrated with all functionality. Instead it is a separate component. Sharing has to be setup and managed specifically with the Sharing Center. - From the Sharing Center, you can not move items into a shared folder. Instead, you have to go into the “Sites”, select the site and then update the “folder” to be the shared folder. It is not very intuitive. - Even if you are part of a Team (family), and you have not created a Shared Folder, then you can not share an item. Instead you need to create your own shared folders. - If one user shares something with another, the other user won’t be prompted of the new item (nor have have access to it) until after they refresh the page. However, refreshing the page forces user to re-authenticate. Share is not real-time. - If one user has a shared item like a note and they update the note, the change by the sharee does not get propagated and updated timely in the account of the sharer. Not a real-time solution when items get changed/updated by other users. While LastPass worked great for my brother as an individual user, they need to make some enhancements with their sharing functionality to support team collaboration. My twin brother and I are entrepreneurs. We have been working together for more than fifteen years. After ten years starting and growing our tech company in Seattle, we made a transition to follow our passion of building companies from zero (idea) to one (product/market fit). With our venture studio, we partner with entrepreneurs to build SaaS startups that hopefully become growing companies. In addition to my brother and I, we have one other employee. With over 150 various logins with around 65% of them being shared, we needed a solution to manage logins and another secure notes (account numbers, billing details, etc.). My brother was using LastPass for a couple months as a solo individual. Since LastPass had a family plan, we decided to give it a try. In order to onboard with LastPass all the rest of our shared logins along with my personal logs, we spent the good part of a half of a day. The main challenge we encountered was trying to understand their sharing functionality. Since the updates from one user to another are not real-time, it was extremely frustrating to use. In today’s modern times of real-time collaboration, we expected when him or I would make an update, it would somewhat quickly be reflected in the other person’s account. We ended up having to refresh the page to get the other’s updates. Each refresh, promoted us login again so we could continue getting everything setup and organized together. Eventually, enough was enough and we explored other solutions. "How did we survive without apps like LastPass?" Pre-lastpass, if one wanted to create a 'secure' password, you'd concoct some silly memorable phrase, using it over and over. And then someone in the Ukraine would figure it out and take over your digital life wholesale. Well, maybe just the figuring out part happened, but we know, thanks to the elevation of the former sysadmins to security officers, that passwords should never be reused, and the less memorable the better. Whereto now, then? Post-its in your desk drawer? That worked until your officemate found them and changed your tinder profile for the worse. Enter Lastpass, your one stop shopping solution to afford your digital self security and let you go wild creating accounts on every website you find. Just counted and I have 101 accounts stored in Lastpass. And I even clean up occasionally. Quite different than 101 post-its in my desk drawer. I think these days it's pretty hard not to use a password manager with the abundance of accounts we have to keep up with. I like having everything in one central spot, and the ability to generate random text passwords. Being able to keep secure notes and credit card info is nice as well. I guess the whole concept of a password manager is a security engineer's nightmare. Particularly those like LastPass that are hosted online by a 3rd party. If you feel like you cannot trust them to keep your information secure, you should probably look elsewhere. It leaves me sort of torn...It makes me more secure by helping me have different (and randomized) passwords for various accounts, but I know my data is sitting on someone else's servers. Make sure you are comfortable knowing your data is stored elsewhere. Research the competitors as there are some. Keep in mind to get the full functionality you will need to pay the monthly/annual subscription. Also note, they have family plans now. I have the added benefit of being able to use the service on my mobile device as well. I see these features are starting to become baked into the phone operating systems now, but I still like the universal use I get out of LastPass. "A secure place for all of your passwords"
In the beginning, I was hesitant to use LastPass, however, it's turned out to be a very secure and safe way to share passwords. Working as an independent contractor, I often need access to client information. Whether it's access to their credit card for ordering or accessing email - LastPass is a really easy way to do it without having to share or give away your actual password. Last Pass allows you to store a multitude of secure information. Sometimes, it stops working and I have to clear out my cache which can be pretty annoying. Other times, I have had issues with sharing something but usually it resolves in a few hours. Secure environment to share passwords and access to sites without having to show or share with someone your actual password. Sharing passwords in a secure manner without having to see others or allow others to see your passwords. Makes it really easy to share access to sites and credit cards in just minutes. Easy to sign up and learn. "Don't try to remember all of your passwords ever again"
LastPass makes it easy to not only store all of the passwords that you use online each day, but also to generate more secure passwords for added security. Too many times I've used passwords that weren't as secure or were easier to guess just for the sake of simplicity or so that they were easier to remember. The only drawback of using LastPass is that if you need to use a public computer to login to a favorite website, it isn't easy to remember/use the stored passwords. Even when using the free version, you get plenty of great features. It's especially helpful to not have to worry about remembering or writing down passwords where someone could find them. The passwords generated don't use common words or phrases and you can easily adjust the generated passwords to match the requirements of the sites that you need to log in to. No longer will you need to remember which sites use special characters, uppercase, etc. LastPass allows for a much more secure online login experience. By generating passwords that can't be easily guessed and storing those passwords for users so that they don't have to remember them, it allows you to focus on being productive. "LastPass: the best software to save all your passwords safely"
This software has helped my company in many ways. We like that you can save all of your passwords and the security implemented to do so. The organization and structure of the dashboard are two of the best things. We do not really dislike anything. We would like more easy ways to upload documents and files to LastPass but for now we believe that it fits our needs. I like that I can forget to remember keys and users with this application, automatically place in the user and password fields the necessary data to access a multitude of applications and web pages. If I need to generate a password with pre-established parameters I can use LastPass as well and generate classes with SHA 256 and make sure I have adequate protection. It is very easy to use this application because you only need to give a button and the credential is written automatically. The interface is very good and as I have it extension of Chrome does not consume resources of the machine. The integration with certain applications can be complicated because each item must be associated to the application to be able to place the credentials automatically. Although LastPass is quite secure, it is not convenient to have server or banking passwords in the cloud. The free version is very complete, therefore I find the costs of the paid versions somewhat excessive. Use LastPass if you have many users and passwords to remember in the web pages you visit regularly, also use without fear the key generator that has the application and will have a strong protection against the theft of your identity. With LastPass I forget passwords and users, I just know the master key and I can live quietly in the web browsing. Thanks to this app, the management of passwords is very comfortable and reliable, in addition to offering me the flexibility required to do my daily work. It offers me guarantee with its optimal and stable service. LastPass is one of the few pieces of software that I view as absolutely essential. I love how it's super-secure and always available. There really is no downside to LastPass - it's that good. LastPass is far safer than trying to keep passwords in spreadsheets etc, and far more convenient than anything else I've tried. Although I'm very conscious of how many sites I register for, I still have a lot of sites where I need to maintain login details (my own sites, joint ventures and marketing memberships). Wherever I am, I always have access to my login details: on my iMac, my Chromebook and my mobile. I would hate to have to do without it. "Best Option for the Price"
I am a LastPass team administrator. I love that I can create one card with login credentials and share it with a team of people at once. I can also alter who in the team can view the password and who cannot. LastPass also allows me to update passwords and share them quickly with colleagues. From what i can tell it's the best password sharing tool for the price. Where to begin? LastPass in general is slow. Everything takes twice as long as you think it would. If you are sharing passwords with others, the password does not always appear in their account right away. If you are using the chrome extension, you will definitely need to learn how to refresh the extension to make sure you have access to your passwords. If you are implementing LastPass for your entire team, give them a period of 1-2 weeks to become familiar with it before you make your full transition. We used LastPass and an additional password storing system for over a year until one day our Operations team decided to solely switch to LastPass. My company was not prepared for that large of a change at once and it created lots of issues. LastPass allows my team to all have access to the same accounts without having to keep our passwords in a google sheet or written down on a piece of paper. It keeps everything secure and organized. When you have logged into lastpass and set up the password to get into the lastpass account it is very easy to use as all the passwords are saved and you then just click log in and you are then logged into all the systems that you use.if you forget your master password you can contact lastpass and reset your password after getting a reminder.it is very quick to set up and then use multiply systems and you then only have to click and open the systems.once you have a master password you should be able to log on from any pc and get access to all your password. As I dont always work at the same computer it dosnt always work on other pc and it keeps asking for the main log in and the password dosnt always seem to work??? have tried to reset password and it seems a bit long winded but for safety reasons is a good thing. Easy to set up with a master password and if you for get the password it will send you with a pass word reminder for example - date of birth + the football team your support as a reminder .and once you have logged into all your systems it remembers the password and it makes it quick and easy to start working on documents. Having one place for all your passwords is a good idea and they are saved very easy . "This is essential if you have multiple site logins (and who doesn't?)" LastPass is one place to keep all my usernames and passwords. And I can access them from any device. Plus I can group my passwords by categories that I can create -- for business, personal, etc. Once I started using LastPass, I couldn't imagine my digital life without it. I used ProbForm previously, but prefer LastPass. Some features just don't seem to always work as expected. Like when I click the Launch button to open a saved website and automatically log in, it doesn't always fill in the username and password. But I can still view my saved username and password and then copy/paste or just type it in. It also seems fussy about working consistently across different browsers. The problem that LastPass solves is keeping track of all the logins that are needed in our current digital world. And having the ability to log in to any site where I have an account. It's one place to keep all my usernames and passwords. And I can access them from any device. Plus I can group my passwords by categories that I can create -- for business, personal, etc. I do worry about keeping all my passwords in one place (what if LastPass got hacked?!? ), but until there is a better alternative, LastPass works for me. "Only password manager used for the business"
I personally use a few password managers but for work purposes, this is the ONLY one we use. What I like most is that passwords can be sent to people without giving them the info in plain text. Sharing the password doesn't actually give them the password but it'll plug it in for them. There is an app for your phone, there's a Chrome extension. It's super easy to use and fast. Above all it's SECURE which is what we're all after right? The thing I like least and I have no clue how to get around this, is the password sharing function can be bypassed quite easily. It's a good feature which is why I mentioned it in what I like best, but alas, it can be tricked. If you share a password and enter it in (pretty much on any device) the browser or app is going to ask if you'd like to save it, which then makes it available on any device signed in with that info. For example on an iOS device, I can go to settings and passwords and it'll show me the plain text for that password. Great for sharing passwords without using traditional methods and for keeping consistency when managing company accounts/devices. What I do appreciate is that it's a time saver. It is secure and we're able to share passwords when needed without sending it by text, email, or Slack etc. If osmeone leaves the company we have passwords available to get into the machine they use and the accounts that belong to the company. "How did I live without it?" I enjoy that my passwords are securely stored in a central location. In addition to that, I can generate long passwords easily, and also use 2-factor authentication. I dislike that I didn't know about it sooner! 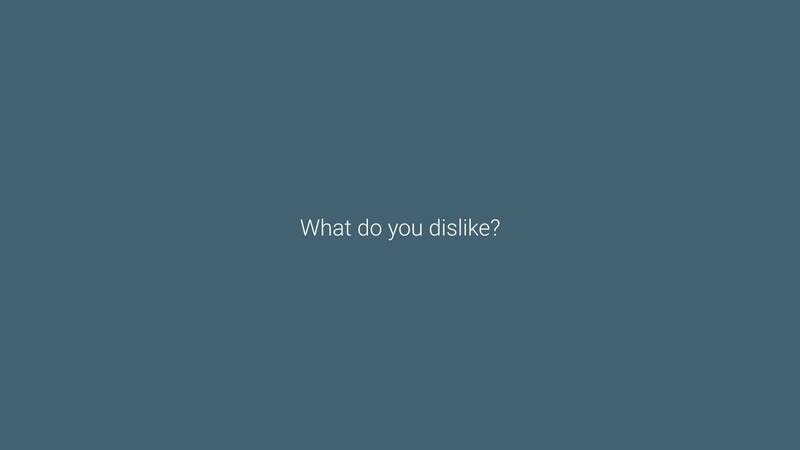 No, but in all honesty, there is very little I dislike about it, if at all. The only thing that may need improvement would be more integration with mobile apps, but I do realize this isnt the fault of Lastpass, but rather the app developers themselves. Lastpass is a wonderful tool to help streamline productivity as well as secure your passwords in a central location for many users to access. I highly recommend using the product with a 2-factor authentication device, such as Yubikey as well for added security. I can securely store my passwords and generate secure passwords that I wouldnt be able to remember otherwise. It also is great way to store company credit card information without having to write it down on a piece of paper. "Easy to use, saves me time, multi-device ready"
I love how easy it is to save and access your passwords on LastPass. I have the premium plan, so I have my account linked on all my devices - laptop, iPhone, and iPad. This makes it easy for me to access my passwords whenever I need them. On my laptop, I have my LastPass account integrated into Safari and Chrome which allows login fields to be automatically populated with my login credentials. This saves me a ton of time and stress! This makes it easier for me to be able to get work done on business accounts and to sign into my personal accounts. Also, the mobile app is really easy to use and works well with touch id or face id on an iPhone. So if you need to log into accounts from your phone you can tap to copy the username or password. Again, this saves me time and stress which I like. My only complaint is if you have multiple accounts on the same website, for example, on Google. If you have more than one Gmail account then you may have the wrong login credentials auto-populate and you'll have to either click on the LastPass icon in the form field which is sometimes hidden under the Chrome password manager icon leaving you clicking around both icons to activate the LastPass option. You can also click on the lastPass icon on top of the browser menu and have it populate the correct login credentials that way. If you access accounts on more than one device then you should get the premium version. LastPass will save you a lot of time and stress so use it. The need for very secure passwords, the need for secure password storage, and the need for password management. "Takes a lot of startup time, the UI isn't great, but it does the job"
When Lastpass works, it just works. It also makes it possible to share groups of passwords (operation passwords, finance passwords, product, etc.) instantly with the right employees. The Security Challenge also helped us increase the company's online security in a semi-gamified way. It also saves time in our day-to-day work. It took a ton of time spent setting up folders, organizing passwords, and doing the initial socializing with the team. The latter is because Lastpass does take a change in user behaviour. You have to remember to log into Lastpass, remember to save passwords in a clunky UI, and then remember to select the password when logging in. The UI is also not great, even with recent UI updates. Sometimes pages have downright childish fonts (big, red, bold, Calibri, static on the page) in place of error messages. To get full use out of this product, invest time upfront. Research the use of folders as a way of sharing passwords, map folders to business functions, and then share passwords. This approach will let you share the right passwords with the right people simply. When Lastpass is used right, it really begins to pay for itself. All staff have access to the write passwords without compromising security. Perhaps as important - You can take away access as easily. When new staff come on board, they easily get up to speed on our infrastructure - None of that time-wasting "Hey, do you have the login credentials to our video conferencing, product demo, etc.". UI upgrades make the whole thing a lot nicer to use, particularly when compared to a couple of years ago. Lastpass is now a product that can scale with our company. "LastPass has just become part of life now"
I have 20+ character randomised passwords for all sites I use. The number of combinations this could be is mind-blowing. I never have to remember passwords, and LastPass automatically fills in the sign in fields when I land on a site (most of the time, the occasional site doesn't work, but it's pretty quick to use the Chrome extension to search and copy the password). You just login to LastPass once in the morning (or you can stay logged in on a trusted computer), and that's it. Combined with two-factor authentication, and you're way more secure than most people. Another excellent feature is the security check you can run. It will process all the passwords you have and give you an overall score, and advice on how to become more secure (it highlights duplicate passwords, old passwords, weak passwords, etc). It also checks whether any email addresses you use have been compromised by known security hacks. Very useful. I worry about having all my passwords stored in one place. Obviously, they're security experts, so they must be pretty hard to crack. But, ya know, people hack the NSA, so... But it's much more secure than having easily crackable, repeated passwords on sites across the internet. Also, passwords are not automatically filled in when logging into a site on a smartphone. I have to open the LastPass app (albeit quickly with finger print entry) and then copy the password and paste it into the site I'm trying to access. To be honest, it's not a massive issue, but it is a bit of a pain (maybe I've just got used to it). But the normal desktop experience is very smooth. I have not checked out its competitors. So I'd obviously recommend doing that. But in all honesty, I've found no reason to switch services. LastPass has made me more secure online and made logging into sites way more convenient. And so it's good value at $12 or so dollars per year (or whatever it is). Avoiding getting hacked. I have peace of mind knowing I'm one of the secure internet users. It saves a tonne of time logging into sites (I have several hundred stored passwords, I probably only use a couple of dozen regularly, but it's amazing how many sites you need passwords for). You open the site. Email and password fields just auto fill. And you click to sign in. Simple. Honestly, I don't know how people stay secure online without a password manager, like LastPass. "Great Tool to Store Your Passwords"
In addition to this password vault being a very smart idea to store your passwords, without the need to remember every one of them, I like the feature of generating a secure password, especially with the ability to control the complexity of the password, and then it stores it automatically. I like that the application is becoming smarter with recognising forms in the page. I like how easy it's to use it on a webpage, as it has an icon in the browser bar, icons on forms when it detects them in web pages, and a sub-menu in the context menu (Mouse right click menu). I dislike that when I open the website from my mobile or tablet, things are not in their right position, the website really suffers from poor responsivity on handheld devices. On the other hand, one of the problems that I don't like about it is that my workplace has many websites with a central password management system, which means a single password to login to all of the work websites, but for Lastpass, it's as if I am using a duplicate passwords for multiple passwords, and it keeps giving me warning about this issue. I really recommend this application to be a central password management especially for people like me who need to use multiple browsers at the same time. I solved the problem of using a single password for many websites, which makes my online presence more secure. Add to that, I don't have to remember all of my 400 current passwords. The feature of form filling gives a great solution for all those registration forms by just a single click. Integration with multiple browsers and one of the best mobile apps. Also it has multiple forms to save passwords, credit cards, server information, ftp login, etc. I love the price, because it's no expensive for a company like us. When it saves a new password I can't select a folder to save it. I must do it manually. Sometimes it misunderstand if I'm creating a new account or if I'm loging in. It's very easy to use, even is easy to migrate from other password managers. It has multi browser support and mobile app.With the mobile app I've never have any problem. Also it recognizes every site with a password and user field, so it's very easy to save new password. One interesting feature, is that they run a security analysis tu verify how many times are you using the same password. When you're creating a new account it automatically recognizes that, so it recommends you to create a random password. Remembering over hundred of passwords from different services, servers, ftp, credit cards, even id cards. One of the best features is that I can share accounts with other employees in a very secure way. I mainly like that i don't have to remember any passwords. It's great that LastPass stores my passwords securely and they are accessible across my devices. I get the simplicity of only remembering one password and the security of hashed passwords! This coupled with their Touch ID and Face ID support on IOS makes it even easier to access my passwords! Not a flaw of the product but it can be a bummer that you have to manually type in a 24 character password on a system that doesn't allow you to access your LastPass account such as a Playstation 4. It also was a bummer to hear that last pass had a security issue with it's browser plugin less than a year ago. "Greatly Simplifies the Password Game"
Keeping passwords stored in LastPass works great, but I am always worried about what might happen if we lose internet access. I think I could still get into the Mac App, but the rest of my office is on Windows. Don't know if there is a similar solution for them. No one needs to ask around for passwords, and if something changes, everyone immediately has the updated password. Bada-bing! "A needed level of security for organization"
LastPass makes it simple for me to store all my passwords safely and securely. It also allows staff to share passwords safely and securely with others in the organization. No more sticky notes with passwords floating around. LastPass can is getting better but once in a while, there are moments that the system is a little slow prompting for the password. LastPass allows us to help users maintain strong passwords without the need for memorization. It also allows me to get a security score for my users' password strength. This helps me to maintain better security practices for my organization. "Saves a ton of time"
If you manage client's accounts and are logging in and out of them all day, LastPass is a life saver! Saves tons of time each and every day for us and is a god send for people who have issues remembering passwords. Since I use multiple computers during the week (work computer, home computer, laptop) LastPass makes it easy to have all the same information on all the devices. When selecting a username and password for login, I wish it prioritized the logins that you've used recently so it is easier to select... but, other than that, it's great! The paid version allows groups/sharing of passwords and folders, which is super nice if your team uses the same passwords over and over. I store all of my credentials for logging into websites using LastPass, it allows us to have a central location that is the same on all my devices. It becomes more and more expensive ($3 vs $1 before) after it's acquisition by LogMeIn. But it has a Free plan as well. There are so many password managers now, so you should consider all the features you will need first. Then, keep in mind, passwords soon will be obsolete with new web standards. Making sure passwords are strong and quickly sharing it with my team. "A perfect tool to get rid of all hassles for password management"
It's almost everywhere even when I don't need it! It reminds me to keep the credentials when I'm registering on a new site and its cross-platform which makes it easy to access. One of the good features of LastPass is folders which can help you to categorize your credentials. Another great feature is credential sharing which you can share a specific username/password with anyone you like. Password generation is very easy and can be customized easily to have a complicated unbreakable password. I don't remember anything to dislike. It perfectly solves all my problems with remembering secure info. Just think for a moment that you need to remember only 1 password and you're done! It has everything you need to manage all your credentials. You can categorize all entries in different folders, you can share a credential with others for a period of time, you are able to save secure notes, it fills your online forms for you securely, and you have it on your browsers like Chrome and Firefox. Credential management such as username, password, form fills, generating powerful passwords, secure notes, etc. A great use of this application is when you need to share a credential with someone else! It's a hassle always and almost for anyone but with LastPass, its a piece of cake! LastPass is a must tool for anyone who works in digital world as a regular user or even an admin! "This is in my list of essentials." I no longer have to remember passwords. I can make them all long and unique, and be sure they are safe in LastPass. The security is so good that if I ever forgot my master password, not even LastPass staff could unencrypt my database for me. Way more secure than my own brain. Also, auto logging into websites and apps on my phone is wonderful as I hate typing on small touchscreens. On some sites, the autofill feature fails. This usually happens when a site uses some weird dynamic popups or something for their login. It saves me literally thousands of keystrokes. It also vastly ensures my security. If one of my accounts gets hacked, like my email, the fact that all my credentials are unique across the web means that vulnerabilities remain isolated. Have a safe place to store passwords, not having to remember multiple passwords or re-login to applications/websites each time I use them. Though it is helpful that they pop up and make it easy to quickly add a new password, they can be annoying and disruptive. Sometimes I have to check personal things at work (bank accounts etc) and I don't like it when lastpass asks if I want to add it. It is more intrusive than when Google for example asks me to add a password. Maybe turn off notifications to add new passwords, because the notification for it can be annoying. Not having to remember each password for the multiple resources/vendors I utilize daily for my job. "Easy to use + great tool for secure credential sharing with clients"
It is a great tool to offer to clients as a secure way for them to share sensitive credentials with us. It seems much more professional than asking them to send over email, and it's great to go back and find passwords shared weeks/months before. The only two short comings I have: 1.) I wish our entire team had access to our clients shared passwords, or perhaps an admin could at least distribute shared passwords to other members on the team. 2.) The constant notifications to add site to LastPass can be quite aggravating when I'm browsing the web away from work, and don't want to add any of my personal sites to LastPass. Soo much better than sharing passwords via email or any sort of chat system. Highly recommend for software/tech companies that often need to get sensitive credentials from their clients - looks much more professional to request that passwords are shared via LastPass than just over email. Quicker and safer way of having clients share their sensitive credentials with us. Main benefit is that you can always go back and find credentials, where the alternative (seeking through emails) can be quite difficult and time consuming. "Password keeper for you and your clients"
2. The security. Passwords and access can be shared securely. 3. All stored in one place with a master password. No tracking down all the logins and passwords all over the place. I dislike that it tries to overwrite passwords and usernames when there is more than one log in available. Sometimes it tries to autofill items that do not qualify as a username and password and can cause problems throughout a site while inputting other information. Stay up to date on checking if LastPass is secure. You do not want an app you use to be the cause of a data breach in your firm. I love that clients can securely share their passwords and take back access at any time. I never see their actual passwords. This helps streamline my workflow while remaining secure. It also helps our whole team work together on multiple clients. "Indespensible tool to improve security"
Makes passwords convenient enough that users stop using post-it's and "cheat sheets". It is much faster than having a user manually type it once or twice to get it passwords right. The option to share passwords fairly quickly with others is invaluable in my IT department. I feel very good about the company and having our data in the cloud. I feel it's very safe and near impossible for a hacker to get my encyrpted passwords that are only decrypted on my user side. We have one enterprise account that we use to be the main account and then we share it with personal accounts that are free. Some of our users we pay to upgrade to pro so they can access the passwords on their phones. Sometimes it takes an hour for a new password to sync to my phone or another PC. Start out with the free one and then keep upgrading as long as you feel it's necessary. Replacing "cheat sheets" where passwords are accessible to anyone near the person's desk. It's also not as easy as hacker opening up a plain-text file. Users can more quickly sign in. Users reset their passwords much less often. Users are much more likely to not have a universal password. I like that the platform is nicely synced between my laptop and mobile device so it stores all of passwords which are now just fingertips away. Very convenient. Apparently on the iPhone the LastPass app doesn't work as well I hear. When you use it on the phone, it launches the sites right in the app rather than launching the app you're working on so it's kinda tricky that way. This is a great tool that will definitely help you manage your passwords by keeping them electronically accessible. Also the tool can generate secure passwords so that takes a load off that responsibility, which is confusing and time consuming. basically just time and convenience of storing passwords on a piece of paper and going mad trying to find them. Also, LastPass can generate secure passwords easily so that in and of itself is AWESOME!! "Great Management, goes with you Anywhere." I truly enjoy the interface and the sharing tools in LastPass. I have found that the mobile apps are very intuitive and are simple to open and find what I need quickly. I appreciate the password generator and quick fill functions in my browser. I find it a bit much constantly authenticating and gaining access to the app. I recognize this is necessary for the security but I find it a bit much. I wish the quick fill function would work in the browser or apps on my phone. I also dislike that it plays a backseat to the auto password tools in the Chrome browser. I constantly have my passwords autofilled and often grabbing old passwords from the browser autofill that cause confusion with the app. It is a stable password management tool that is among the best I have encountered. It has been a great tool to sync our passwords in our team. Being able to share common passwords for Credit Cards or unique apps has been a game changer. Having a tool that works in all browsers and on my phone for authentication has been fantastic. "LastPass Works Great, Keeps Me Organized"
Lastpass is simple to use and tracks everything. I have credit card numbers stored in there as well as notes for each family member with SSNs, medical information , etc. And it's a breeze to share information with another person. Some companies use a third party service on their site. This can cause LastPass to get confused about the actual site name and account. The price is great. I've never needed customer support. I'm able to share a password with a co-worker from the LastPass dashboard. I can also set "emergency contacts" who can log into LastPass if I am unable to and retrieve information. They don't have constant access--I'm immediately notified if they log in. This helps a lot with continuity, peace or mind, and collaboration. "Great for remembering lots of various passwords when I only need to remember one." I like that I only need to remember the main password, especially for accounts where I'm forced to change my password every 90 days and can't use one I've ever used in the past. I have too many passwords to remember every time I have to change one! Sometimes I need to change passwords on certain sites in the administrative area in Last Pass because it didn't save changes I had made after updating the password. It's worth at least trying to see how it can help. Remembering many passwords and only needing to keep up with one. This makes logging in to these various sites far more efficient than scrolling through a spreadsheet. "Comprehensive Tool For Password Security"
I enjoy how incredibly easy it is to generate secure passwords. When I'm filling out web forms, I'm prompted to create a password via LastPass. It takes mere seconds to create a high-security password. I've never found anything that I dislike about LastPass. It's fairly user-friendly, though I did need to do a small amount of research to understand it. This is typical of any software though. If you need a simple way to enhance security on your business accounts, give LastPass a shot. It's really as easy as possible to use. The free version is high-quality, so you don't have to pay if you're hesitant to use it. I use LastPass to keep all of my business-related accounts secure. Examples include generating passwords for Google Docs, Google Drive, Gmail, LinkedIn, Wordpress, PayPal Business, and more. I benefit from this because I don't have to come up with complex passwords on my own - LastPass does the legwork for me. * We monitor all LastPass reviews to prevent fraudulent reviews and keep review quality high. We do not post reviews by company employees or direct competitors. Validated reviews require the user to submit a screenshot of the product containing their user ID, in order to verify a user is an actual user of the product. Hi there! Are you looking to implement a solution like LastPass?